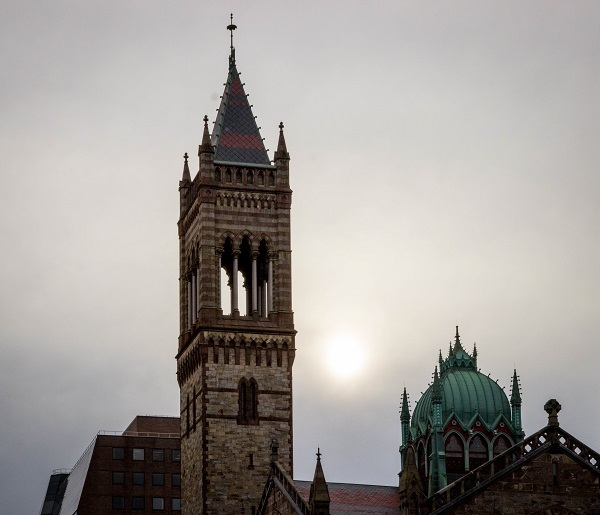 The Cathedral of the Holy Cross is situated in the SOWA neighborhood. It is the cathedral for the city and surrounding area. It was started in the late 1860’s, right after our country’s Civil War ended and dedicated in 1875. This entry was posted in boston and tagged boston, cathedral, church, holy cross on April 30, 2017 by milfordstreet. I hear about SOWA, the Boston neighborhood South Of WAshington St. quite a lot. (“SOWA” – get it?) I stopped by a few weeks ago to stroll around and make a few images. It was a bit cold and dreary. They are known for a big open market in the warmer weather. I plan to return. In the meantime, here are a few images. This entry was posted in boston and tagged boston, sowa on April 29, 2017 by milfordstreet. There is Frog Pond on Boston Common. Perhaps once it was a real pond. Now it is a shallow wading area in summer, a skating rink in winter and a fountain in the shulder seasons. Of course, they have a frog theme. This is one of the frogs. 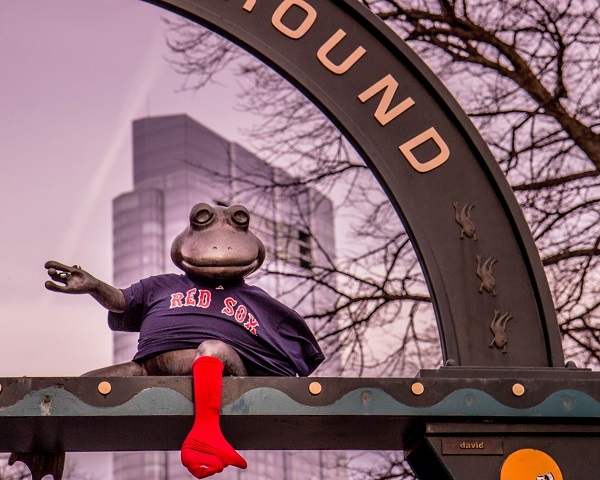 This entry was posted in boston and tagged boston, common, frog pond on April 28, 2017 by milfordstreet. There was some interesting light a couple of weeks ago when we went into Boston. I’ve photographed this church before but liked the muted sun behind it. It gave it a nice effect. This was made from Copley Square. 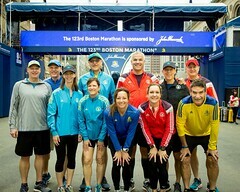 This entry was posted in boston and tagged boston, church, sun on April 27, 2017 by milfordstreet. The sun setting under the Tobin Bridge going over the Mystic River. This was made from East Boston. Yes, this is the same Mystic River that was the title of the Dennis Lehane book and the movie directed by Clint Eastwood. 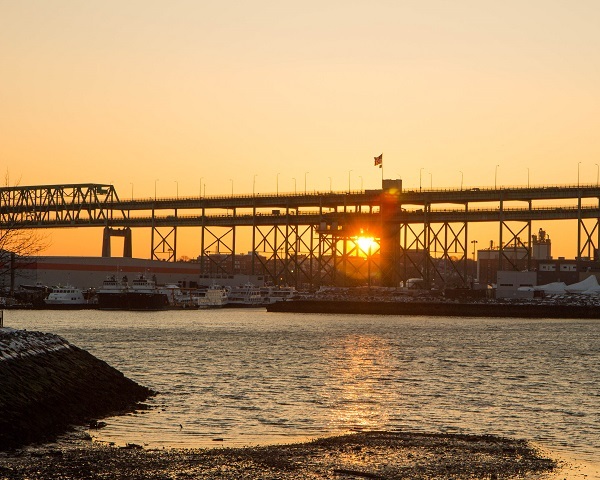 This entry was posted in boston and tagged boston, mystic river, sunset, tobin bridge on April 22, 2017 by milfordstreet. This young lady was kind enough to perform a SECOND split for me. I missed the shot when she did one for her mother, and she offered to reenact it. 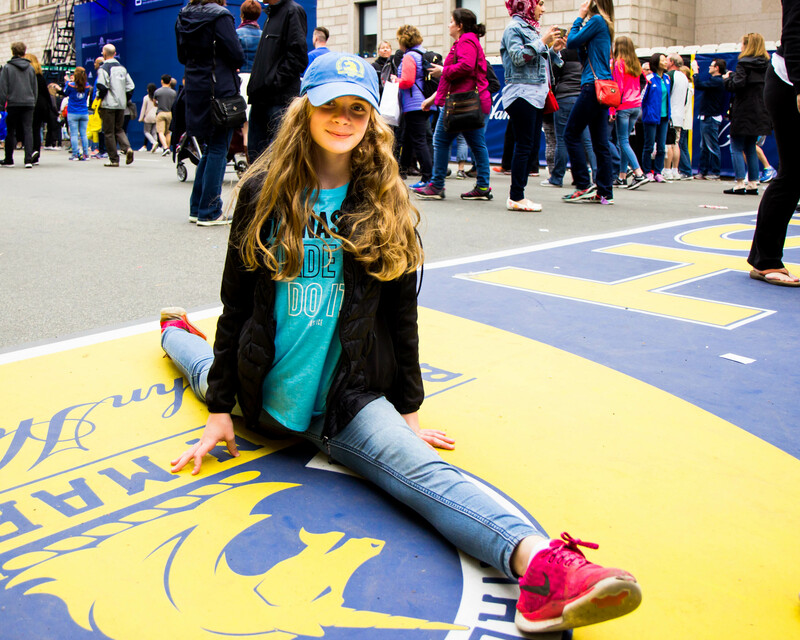 This was made at the Boston Marathon finishing line. People do all kinds of things there. They sit, kneel, stand and lie down. She was the only person I saw who did a split. 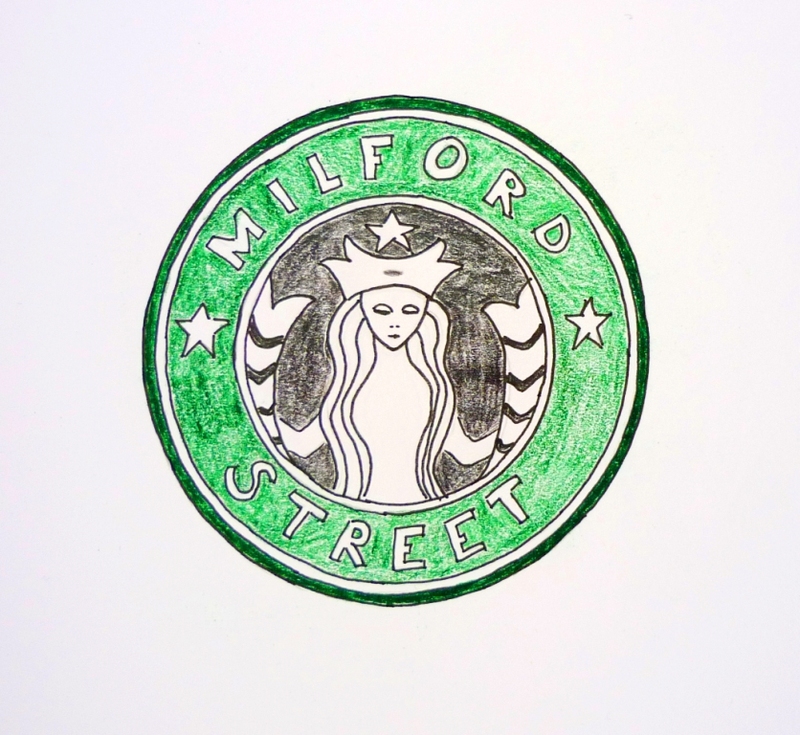 This entry was posted in boston on April 21, 2017 by milfordstreet.